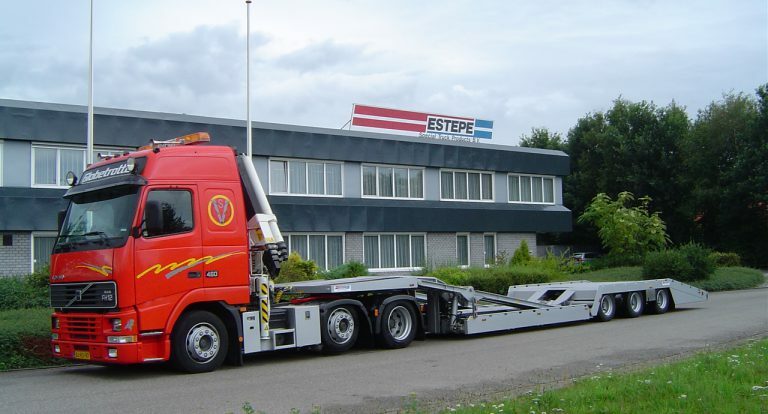 From a company that supplied plastic accessories and chassis components to dealers and transport companies, ESTEPE has developed into a comprehensive system supplier and a qualified partner of both the European truck manufacturers and truck body industry. 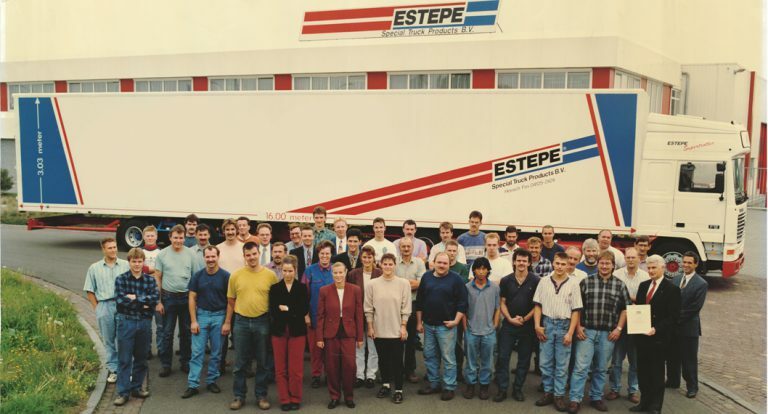 Ever since it was founded in 1984, ESTEPE has been operating in a very wide range of technical disciplines. This is still one of the unique foundations of ESTEPE nowadays. Below are the milestones and events that contributed to today’s ESTEPE. 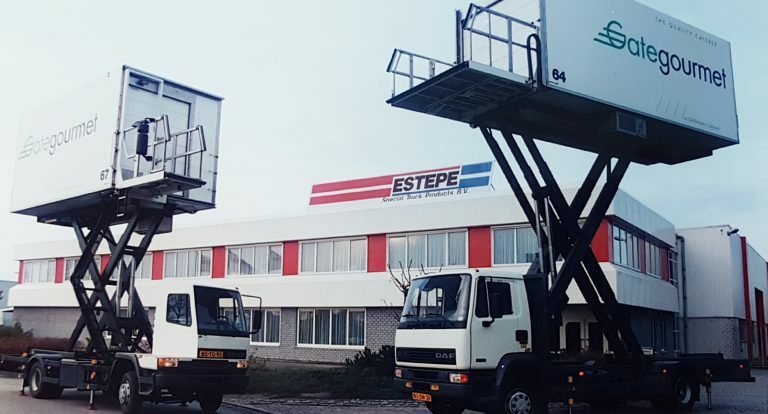 ESTEPE was founded by Toon van Genugten (who later became the owner of Tridec) and Martin van Heertum (who later became the owner of BAS Trucks). 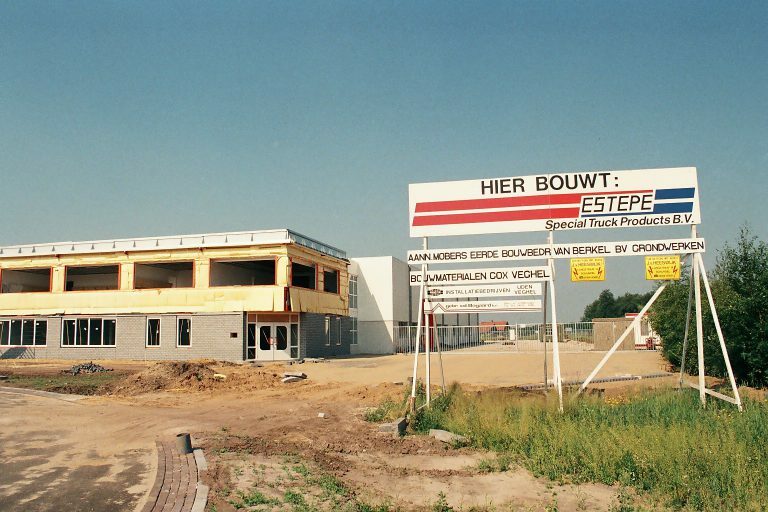 • ESTEPE’s first establishment is located at Osseweg in Heesch. • ESTEPE mainly modifies chassis and cabins to make them suitable for the 2×8+ volume concept. ESTEPE introduces the first Top Sleeper on the market, thus offering a solution for an additional sleeping option on a Day Cab. Due to strategic reorientation, this was stopped in 2005. Launching of the Research & Development Department. From now on, ESTEPE can better meet specific customer requirements. ESTEPE introduces the first short coupling systems on the market. 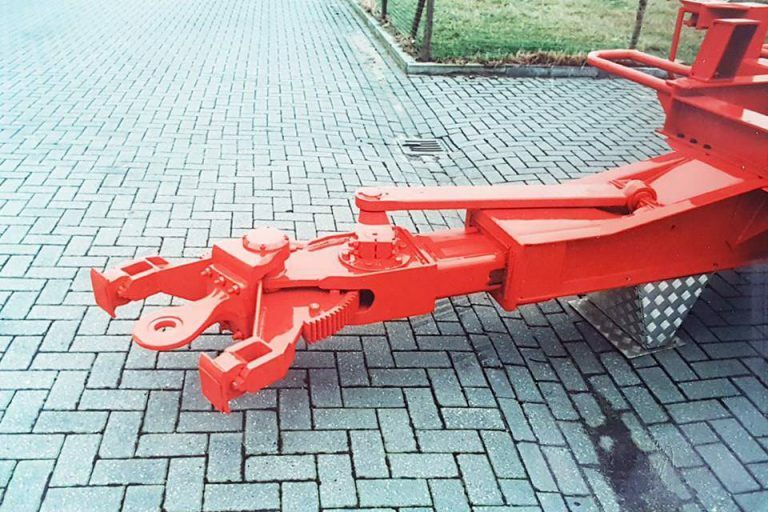 This enables the motor vehicle and centre axle trailer to be coupled very closely, which provides advantages for the transport volume. Due to strategic reorientation, this was stopped in 1999. 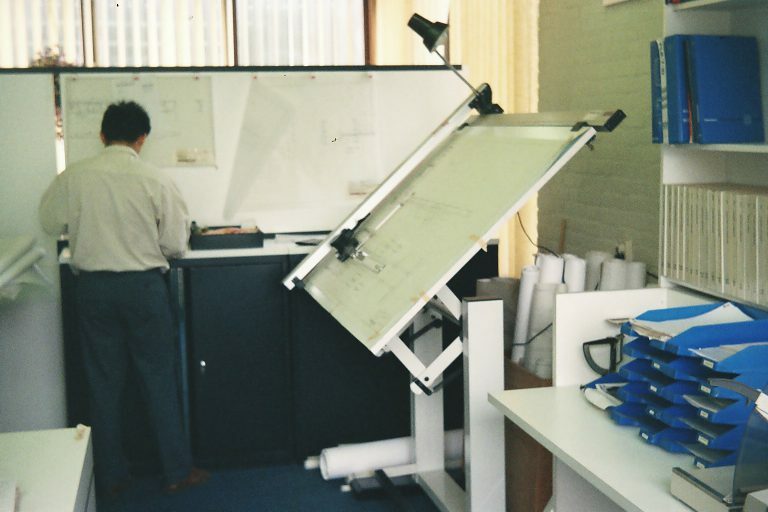 By using AutoCAD, ESTEPE is able to work more efficiently and more flexibly on the development of transport solutions. 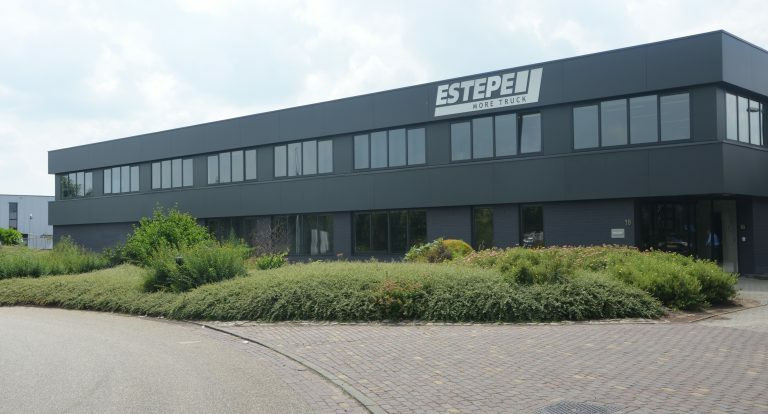 ESTEPE moves to 15 Cereslaan in Heesch. This increases the production capacity to 3,800 m². 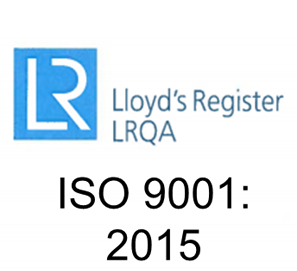 Assessment and certification of the quality systems. 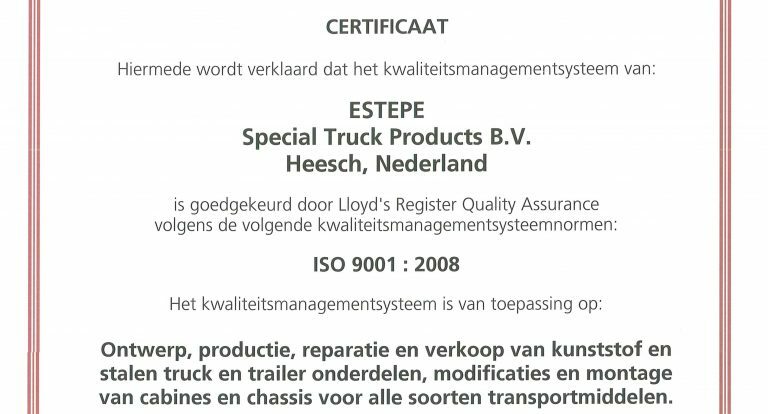 This makes ESTEPE one of the first companies in the Netherlands to be ISO 9001 certified. Market entry of the EXA Combination. This combination tips the legal boundaries. The publicity resulting from that has ensured that the name ESTEPE has become widely known in the transport world. 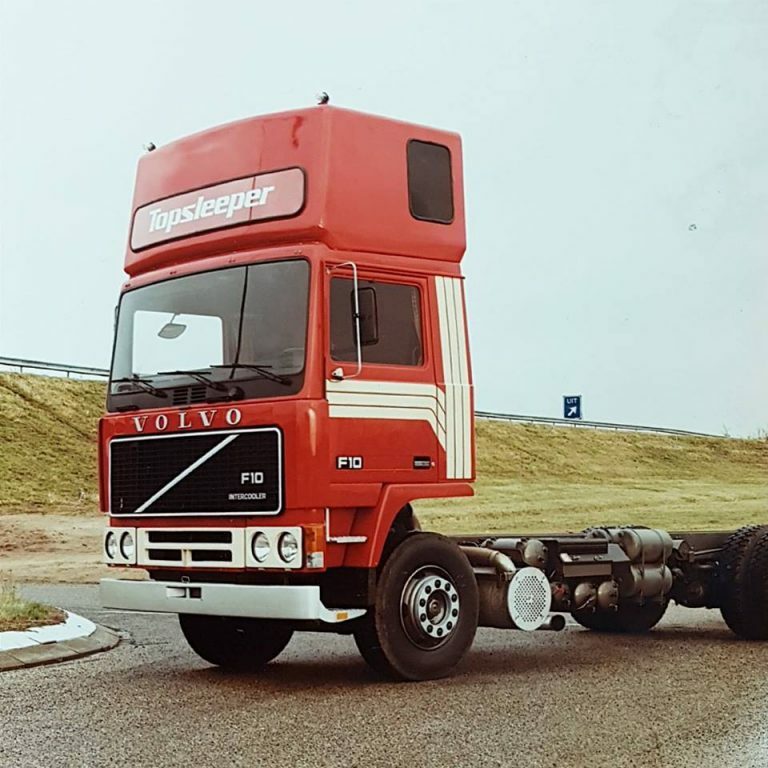 However, the EXA Combination did not become a huge commercial success, as legislators quickly prohibited the use of the combination on public roads. The limit of 50 employees is exceeded. 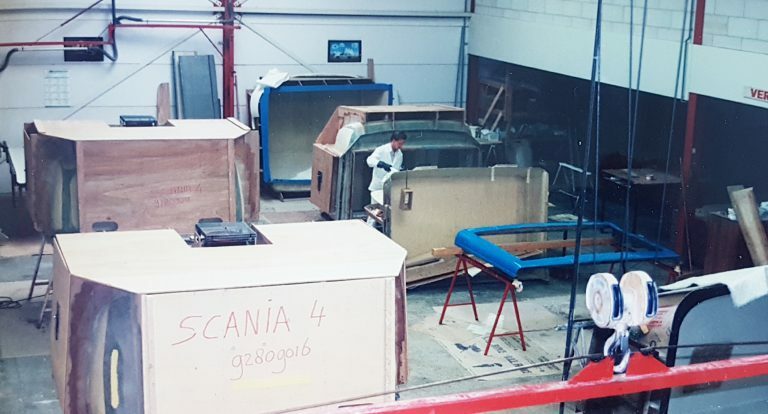 Development of the Aircat Scissor Lift Vehicle. ESTEPE very successfully enters the airport catering sector. Amsterdam and Helsinki are the main markets. 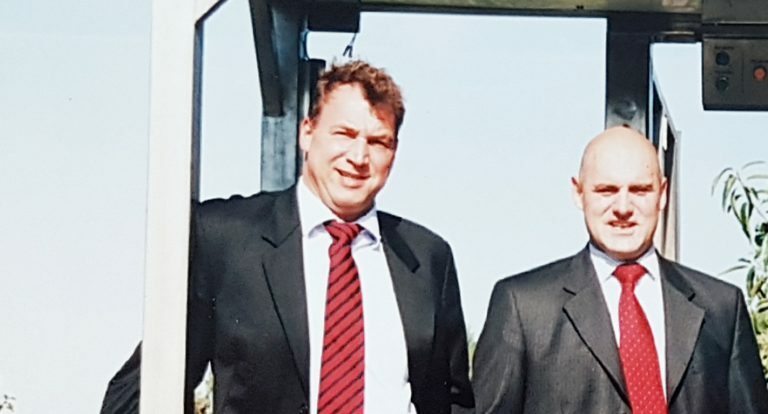 With Dort-Jan van Boxtel as Managing Director, and Jan Hurkmans as Commercial Technical Director, ESTEPE’s management provides more than 20 years of experience and commitment. A second fully equipped production hall is opened. Production capacity thus increases to 5,000 m². ESTEPE starts adding axles. 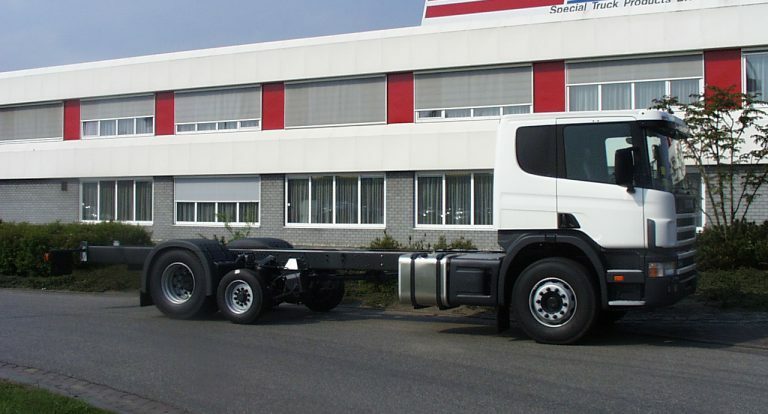 Our first customers come from the car and truck transport industry in the Netherlands and the UK. 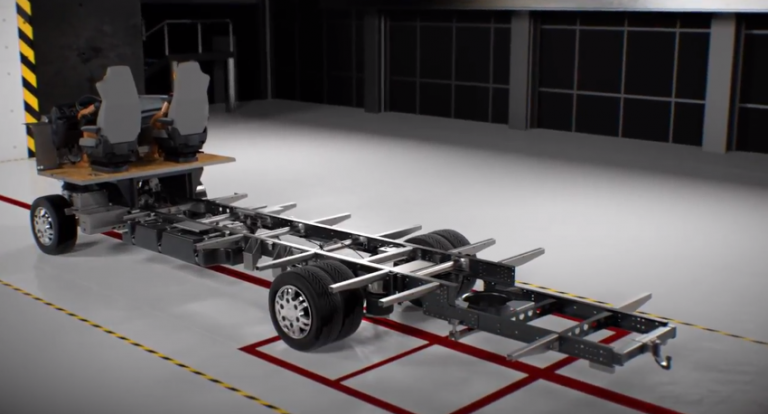 The first variant of the Truck Transport Trailer (TTT/ETT) is introduced to the market. 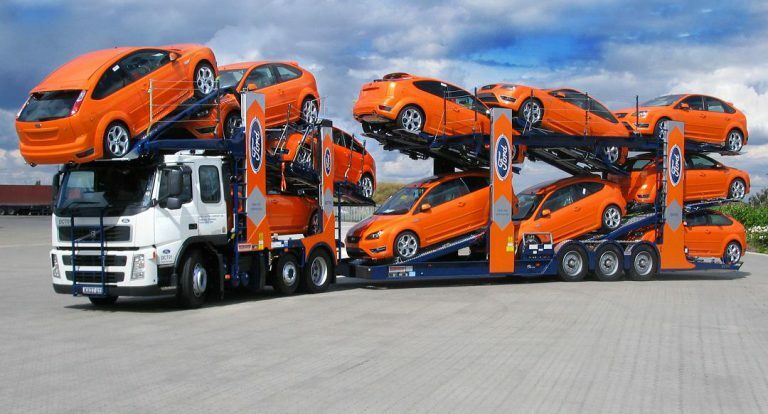 This is proof of ESTEPE’s strong position in the car and truck transport industry. 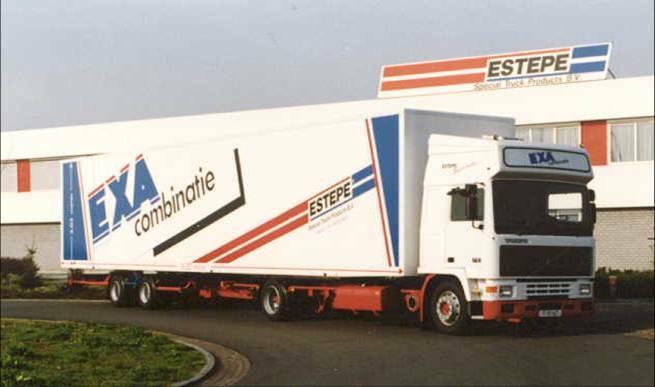 Nowadays, 4th generation TTTs are manufactured under the new name of ESTEPE Transport Trailer (ETT). Thanks to full homologation under the European Type Approval, this solution has spread throughout Europe. 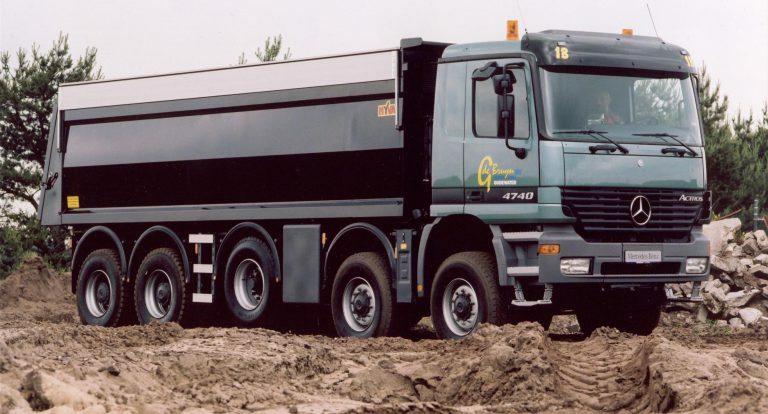 The ESTEPE MidLift axle (EML) becomes very popular due to the increase of the Gross Combination Weight (GCW) to 44T in the UK, and the increasing control on axle loads performed in the Netherlands. ESTEPE launches an attack against the established order in the building sector of 10T front and trailing axles. With more than 1000 vehicle modifications in the sector, the ESTEPE solution is a success. ESTEPE refreshes its logo. It bids farewell to its old slogan of ‘Specials at the service of return’. From now on, the ESTEPE logo has the tagline ‘More Truck’, which emphasizes that we get more out of a standard truck, thus giving it added value. 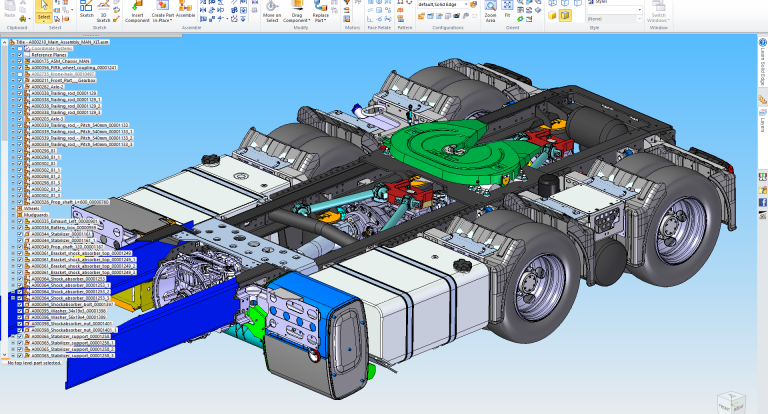 The Engineering Department transfers entirely to 3D-CAD through SolidEdge and later also to NX. 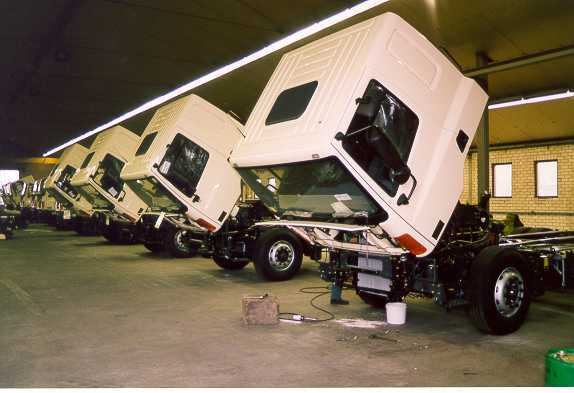 ESTEPE grows as an integral part of the sales systems of truck manufacturers/importers and of European truck body building companies. Meanwhile, more than 50% of the modifications are sold through manufacturers, importers and body building companies. Innovations are achieved in business applications. A complete switch to Microsoft Dynamics NAV (an integrated ERP system) is made. Integration of LEAN manufacturing in the production and logistics process. Continuous improvement is the essence to maintain. 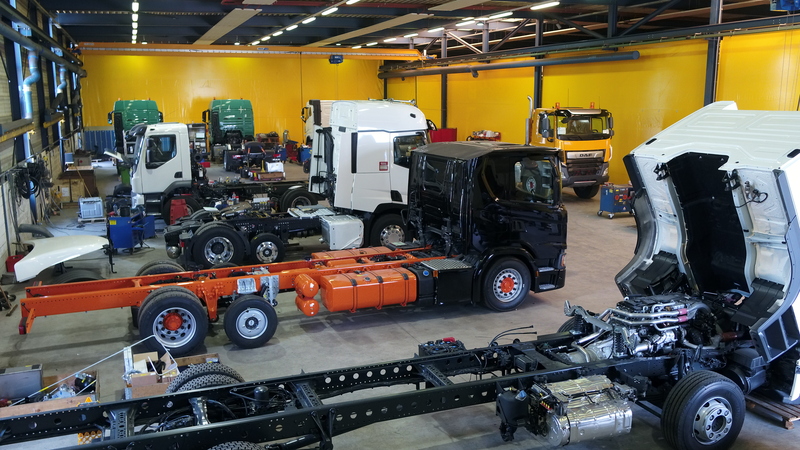 The transition to EURO6 leads to the production of new models as well as stricter admission requirements (WVTA/R29). Together this forces ESTEPE to make huge investments (15% of the turnover) in Research & Development. Later this turns out to be the reason for our success and growth in recent years. 100% Management Buyout. Therefore, ESTEPE becomes a completely independent company with no ties to third parties. Previously, ESTEPE was linked to the BAS Group (NL). After more than 30 years ESTEPE stops its in-house production of plastic products and outsources this activity to a specialized partner. 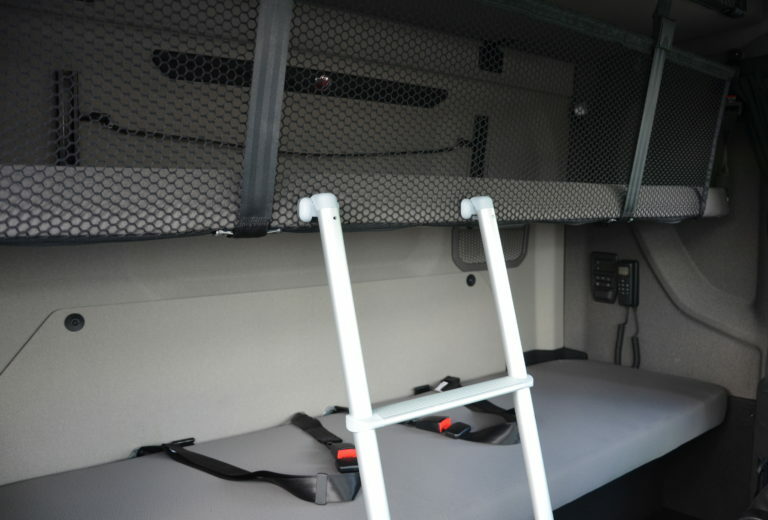 Through the collaboration with Niesmann & Bischoff (Flair luxury caravans based on modified Iveco Daily chassis), ESTEPE enters the lighter commercial vehicle sector. • ESTEPE surpasses the magic number of 2.000 modifications per year. • Opening of the third production hall: the production capacity is expanded to 6.500 m². • Expansion of the outdoor area, creating more space for the parking of vehicles. The quality systems are assessed again. ESTEPE receives a new certification, this time according to the ISO 9001 standard of 2015.